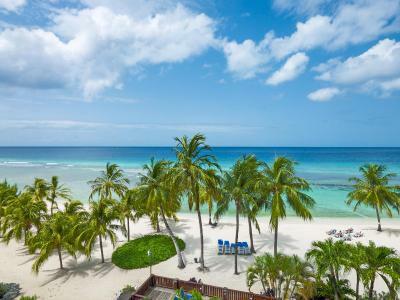 Lock in a great price for Coconut Court Beach Hotel – rated 8.1 by recent guests! Great customer service. Everyone was friendly and helpful. We loved the dinning/bar area, great food & drinks! Thanks Tisha!! the staff went above and beyond for us, they were all so friendly and polite. housekeeping came every day and the room was pristine. Charlie's bar down at the beach was a lovely place to have a drink in the early evening. they couldn't have done more for us! 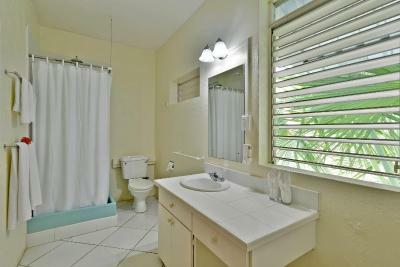 the rooms were spacious, the shower was hot and it was great value for money. The maid and luggage carriers was very nice. Food was good. But the initial response and treatment left a bad taste in my mouth. Facilities were clean, and room service was prompt. Never came back to my room when it was never serviced, no matter the time Staff were great. Professional yet very friendly. It was easy talking to them with regards to what the island has to offer for visitors. They were really helpful Food was great, nice music and other entertainment. Location by the beach made the experience even more exceptional . And the proximity by the main road made it much easier to visit nearby locations, as well as the capital. The breakfast was delicious. The views and the beach were breath taking and the staff was really nice - especially the bartenders. The rooms aren’t super duper fancy but still this hotel is perfect for a little get away. 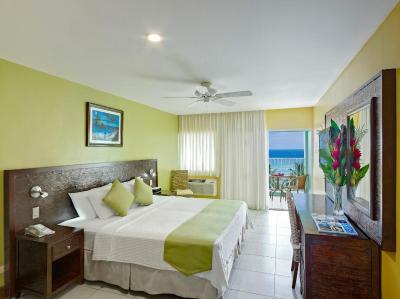 Staff were friendly, food and drinks were great, Rooms all ocean view first room looked over buildings but was still a view but upgraded to a better view. Location. Some staff were very friendly and helpful. The ambiance of "The Deck" restaurant and also the Beach Bar. Everything was clean and comfortable. The beach at the hotel was great as well. Location,could not have been closer to the beach. Staff very warm,friendly & on the whole efficient. 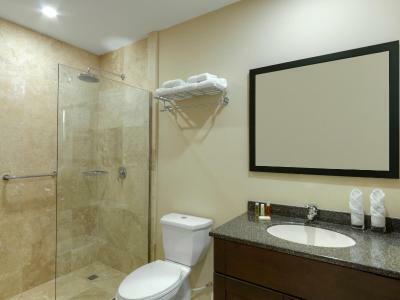 Very,very clean especially considering it's an older hotel. Beach Bar was great as were the bar tenders especially Antonio. 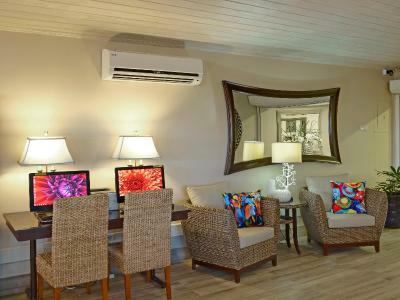 Coconut Court Beach Hotel This rating is a reflection of how the property compares to the industry standard when it comes to price, facilities and services available. It's based on a self-evaluation by the property. Use this rating to help choose your stay! 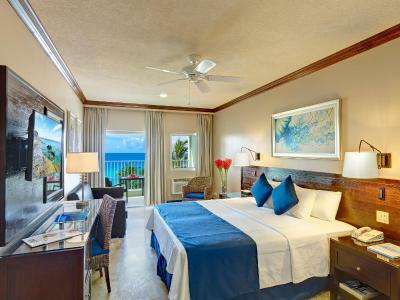 Located within the UNESCO World Heritage Site of Historic Bridgetown & Garrison Area, this family-run beachfront hotel features an outdoor pool and a restaurant. 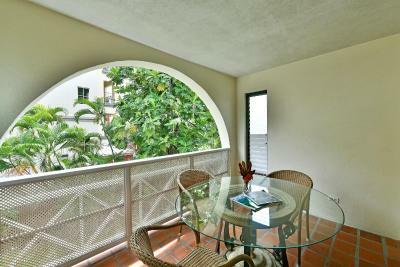 Tropical-style rooms feature a private balcony. 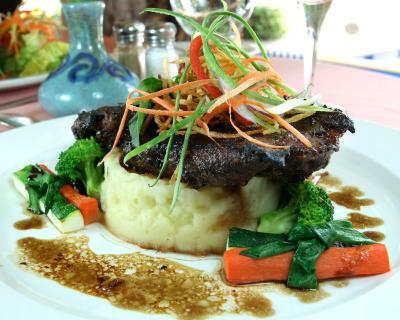 The hotel has a picturesque beachfront setting, a short walk from South Coast Boardwalk. 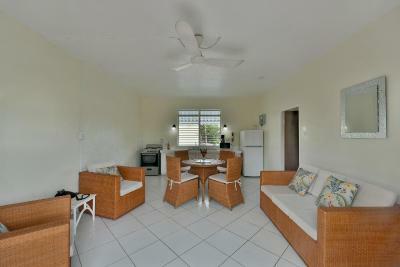 Saint Lawrence Gap is 2.5 miles from the hotel, and Bridgetown is a 10-minute drive away. 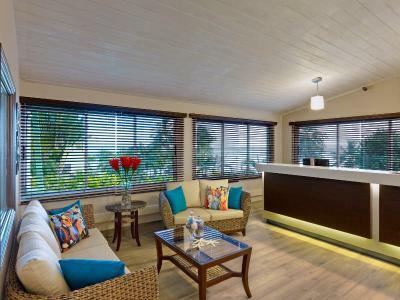 When would you like to stay at Coconut Court Beach Hotel? 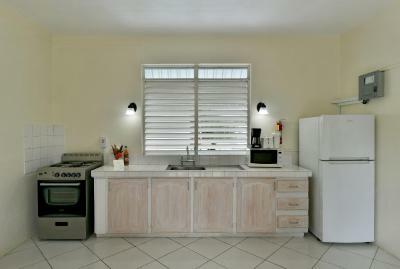 Completely renovated. Ocean views. 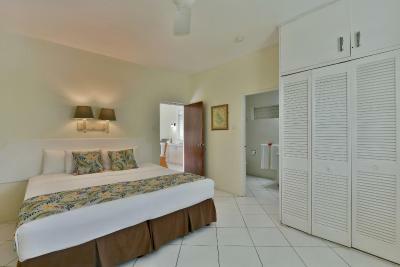 Amenities include: IPod docking station, individually controlled air conditioning, ceiling fan, Smart TV with cable options, telephone, electronic in-room safe, iron and board, hairdryer, microwave, refrigerator, toaster, electric kettle, sink and cutlery/crockery. Full access to WIFI. Not renovated. Mix views of surrounding hotel buildings, trees and ocean. 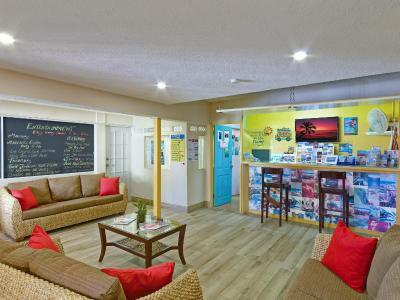 Amenities include: Individually controlled air conditioning, ceiling fan, TV with cable options, telephone, electronic in-room safe, iron and board, hairdryer, microwave, refrigerator, toaster, electric kettle and cutlery/crockery. Limited access to WIFI. 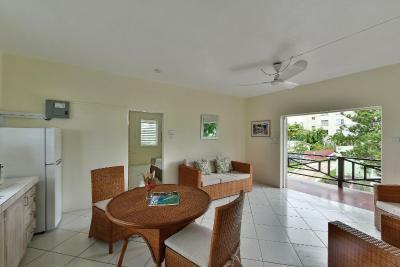 Amenities include: IPod docking station, individually controlled air conditioning, ceiling fan, Smart TV with cable options, telephone, electronic in-room safe, iron and board, hairdryer, microwave, refrigerator, toaster, electric kettle, sink and cutlery/crockery. Full access to WIFI. Located offsite in the Annex, directly across the street from the main hotel entrance. Absolutely no views of the ocean. Individually air conditioning in bedroom only. 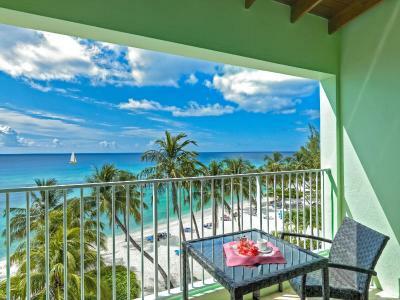 Coconut Court Beach Hotel in Barbados has been owned and operated for over forty years by the Blades family. 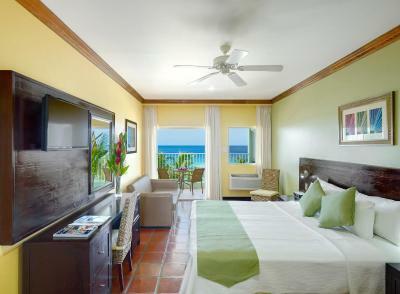 It is a vibrant beachfront hotel with a fun and friendly atmosphere. 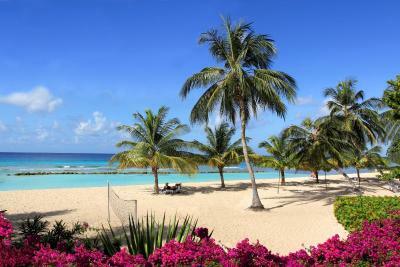 This friendly Barbados hotel enjoys a stunning beachfront setting on an expansive white sandy beach. 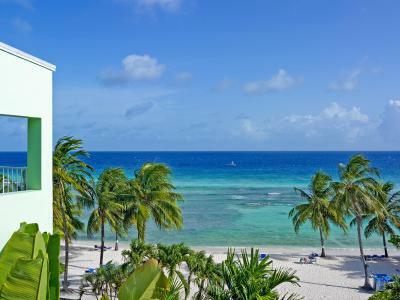 House Rules Coconut Court Beach Hotel takes special requests – add in the next step! Any additional older children or adults are charged USD 72 per night for extra beds. Coconut Court Beach Hotel accepts these cards and reserves the right to temporarily hold an amount prior to arrival. Please note that guests under the age 18 are not allowed to occupy rooms by themselves and must be accompanied by an adult. Please note that this property is not equipped with an elevator. Please request a low or high floor at time of booking based on your physical capabilities. Please note that in case of an early check-out, the full amount of the total reservation will be charged. American Express is NOT accepted at this property. Please note that the Island View Apartment is located offsite in The Annex, directly across the street from main hotel entrance. Please note that max occupancy per room includes any child no matter what the age. Free roundtrip airport transfers will be provided for all guests in any room category. Please provide flight information at time of booking. Please inform guests that this is a shared service and guests may be required to wait for other passengers. Maximum luggage allowance of two (2) suitcases and one (1) carryon bag per person. Additional fees apply for excess luggage and sporting equipment if it cannot be carried at the same time in the van. Child safety seats are not provided for infants and small children. The airport shuttle service operates between 4am and 11pm daily. No free airport shuttle service is available outside of the regular working hours. Guests arriving/departing before or after 4am and 11pm will be required to make their own way to and from the airport at their own expense. The hotel will not provide or pay for transportation to/from the airport outside of regular working hours of 4am to 11pm. Please inform Coconut Court Beach Hotel of your expected arrival time in advance. You can use the Special Requests box when booking, or contact the property directly using the contact details in your confirmation. Apartment 3A quite dark inside. Light bulb out of order on stairs - very dangerous situation not resolved despite reporting to Reception and Maintenance direct. One or two staff in Restaurant and Bar were quite surly. Location and majority of staff especially Security were excellent. Everything was wonderful. We will always come back here. The food was not worth it’s prive was very bland, not much choice and my hot beverages was very cold by the time I receiver them. I thought at one point you that I was going to be robbed, as during the night I kept hearing a bang near my door. The staff on night shift wasn’t very informed about location or room or forex exchange currency so my check in was nearly over a hour. Very unfriendly staff. Too expensive. the tv is way to small. 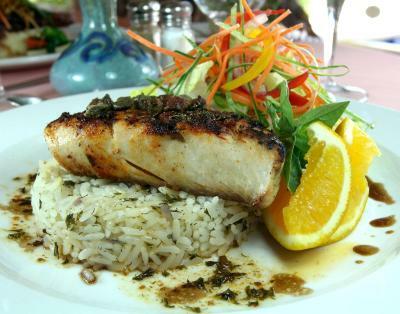 the beach, the clean public washrooms, the staff, and their restaurant was reasonably priced. 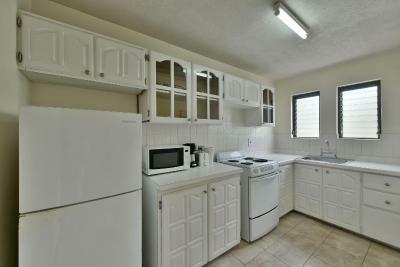 It would’ve been nice if the appliances were renovated. 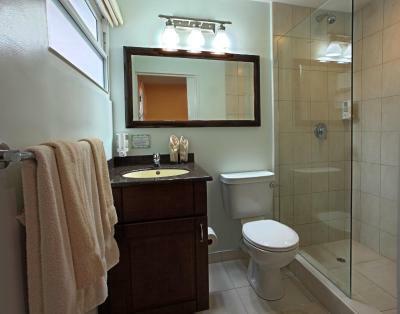 Puddle would fill the shower. Plastic glasses ! Drink does taste the same out of a plastic beaker . the hotel is situated close to a main road and a bus stop, the busses beep their horns (starting around 6am and finishing around 12pm) so the room can be pretty noisy, bring a pair of earplugs if you're a light sleeper!